We are one of the prominent manufacturers and suppliers of the finest quality of Chemicals Compound. Used for mass finishing purposes, the offered chemical compounds are processed by using latest machinery. 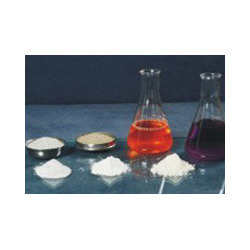 Owing to their compositional accuracy and enhanced shelf life, the offered chemical compounds are highly demanded. We Niraj Optical Machinery founded in the year of 1978; are a leading organization of the industry actively engaged in manufacturing and exporting a broad range of Vibratory and Centrifugal Finishing Machine. Offered range of these products includes Vibratory Finishing Machine, Vibratory Bowl Dryer and Centrifugal Finishing Machine. Offered range of products are appreciated by the patrons for their unmatched quality, excellent finish and accurate performance. These products are manufactured from high quality components that are procured from the best and popular suppliers of the industry. To suit the diverse demands of our valued clients, we are offering these products into various technical specifications. These offered products are used in various industrial applications. Our organization is a best resource to collect the offered range of products as our products are manufactured as per the set industry norms and standards at our ultra-modern infrastructure unit. We have installed all the latest machines and tools to fabricate the offered products. With the help of our well connected network, we can deliver these products safely at client end within given time frame.